Click on pictures to enlarge.Text in italic is extracted from the Exhibition Guide 2009. By Andrew Knights, Steyning, West Sussex. "It is the dog days of Summer and a warm breeze is blowing off the Great Lakes. Small town life goes on through the muggy heat. Behind Main St, where Coles department store is sited, there is a more interesting world, one that will not see another summer. 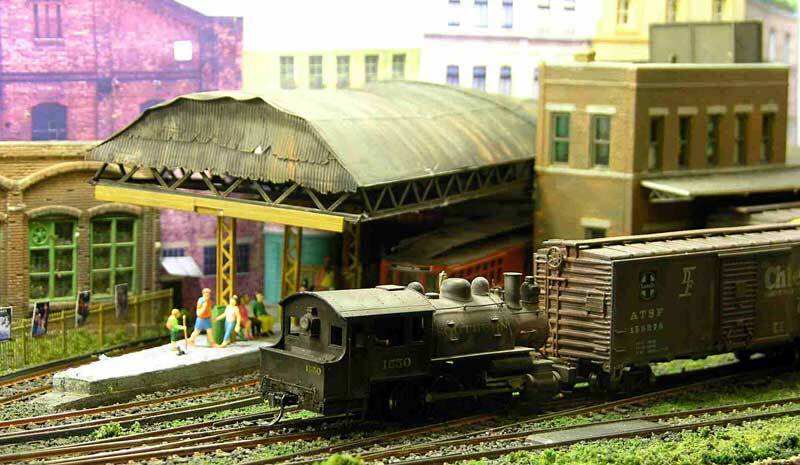 The kids may still do their “Dog Wash” and “pennies” maystill be flattened by passing trains. The freight trains may still work into the yard but all this will pass unobserved by passengers on the interurban line. Along with the connected North Shore Line this operation will cease on Jan 31st the following year. The steamers switching the yard will also be replaced. Hence the camera crews lurking amongst the crowds waiting at the “forever” closed crossing barriers. 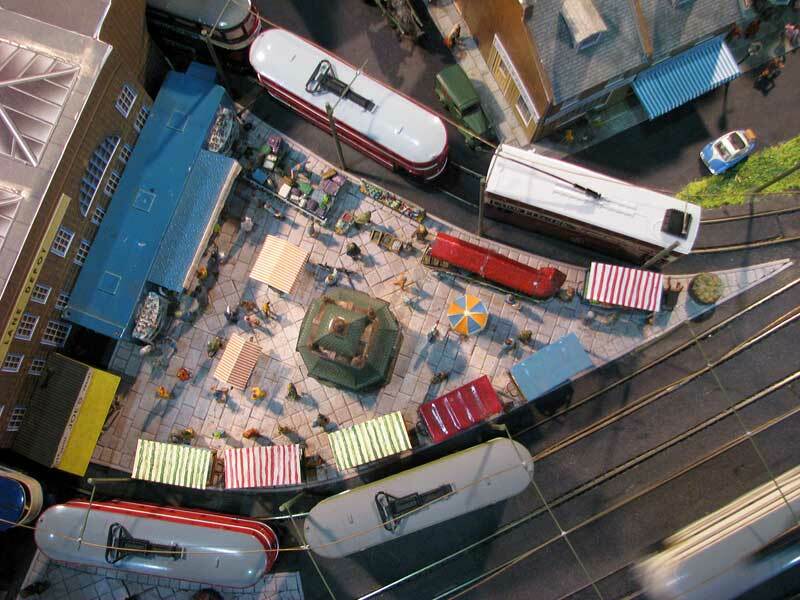 The above is a fiction, but explains much of what can be seen on the layout. The interurban services are using third rail supply, same as they do when they venture onto the Chicago “El”. A mixture of steam and diesels operate on the freight side, switching the freight cars around the yard. The actual car positions are determined by a card system, which the operator will be pleased to demonstrate and discuss. Among the various animals involved in various small scenes, see if you can spot what appears to be a rather large skunk, Pepé Le Pew comes to town? 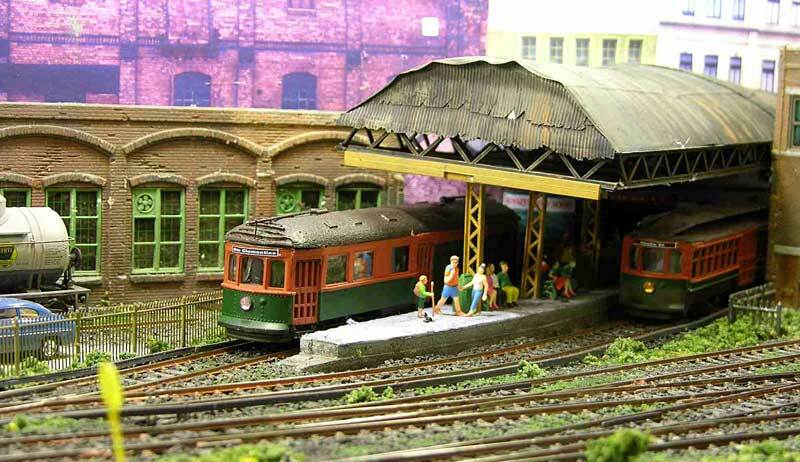 There is a model railroad shop with a passing resemblance to a former Holbourn emporium too. 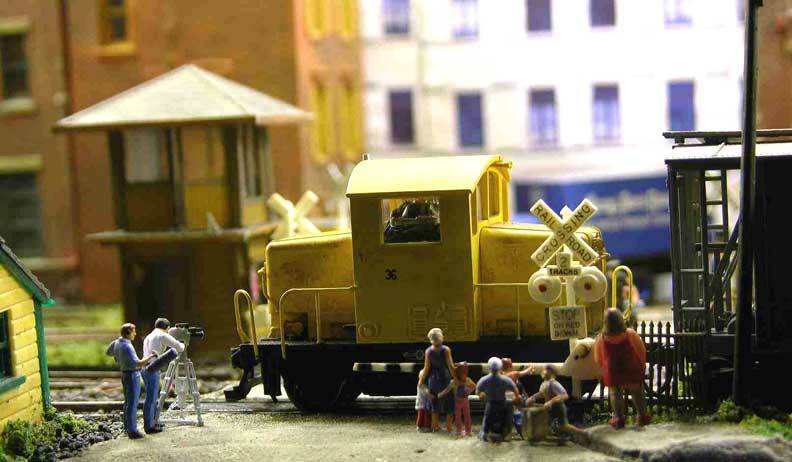 The layout appeared in the April 2008 edition of Continental Modeller. Any questions or suggestions may be aimed at the chap with the throttle"
By Andrew Ullyott, Weston-super-Mare Somerset. 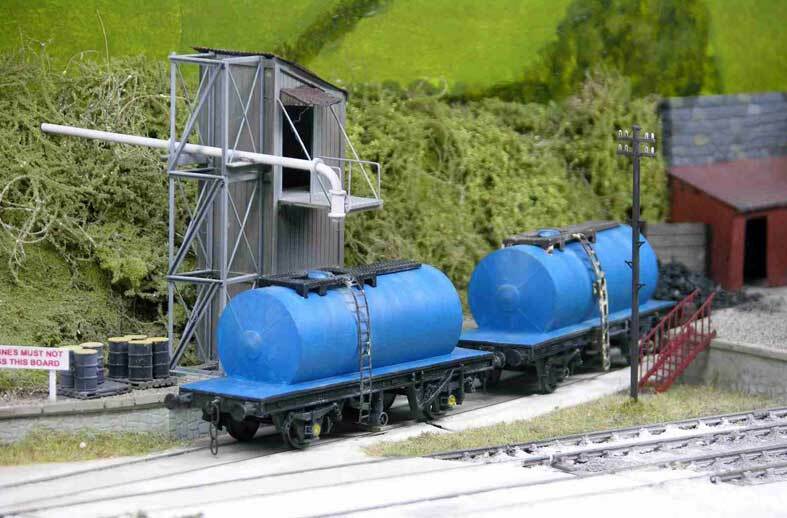 "The layout is inspired by the former china clay dries at Wenfordbridge and Carbis Wharf in Cornwall, the latter being the last coal fired dry which closed in 1986. The track work was unchanged from the 1950’s through to closure and this gave me the idea of a layout that could chronicle the various types of rolling stock typically seen on clay trains from Beattie Well Tanks circa 1958 through to classes 08 and 37 in the mid 1980’s.The track plan includes a public wharf (siding) that allows some variety of rolling stock. I am using the layout to test various techniques and as such I have made track using the ply and rivet method, C&L components and hybrid ply sleepers and plastic chairs. Baseboards are 6mm ply frames supporting 12mm MDF track bed. I have used 2 fluorescent tubes supplied for fish tanks to illuminate the layout. Stock is a mixture of kits and re-wheeled RTR. It spans from the end of steam with 4 wheeled wooden wagons, through the clay hood era with pre and post TOPS diesels to the introduction of air braked stock. Motive power comprises transition period steam and diesel shunting engines, and representations of all diesel engines seen on clay trains over the years up to the late 1980’s. 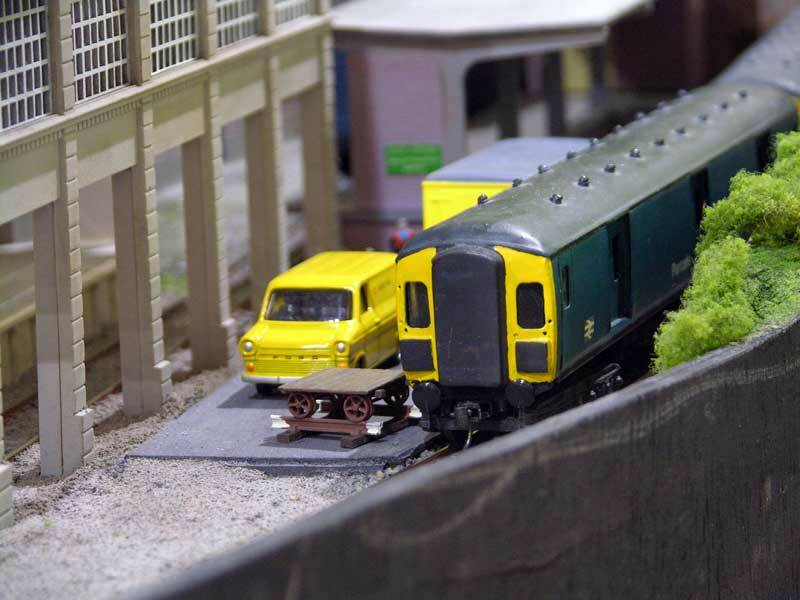 The layout was built for the Scalefour Society and DEMU’s Diesel and Electric Challenge and was runner up at Scaleforum 2008. 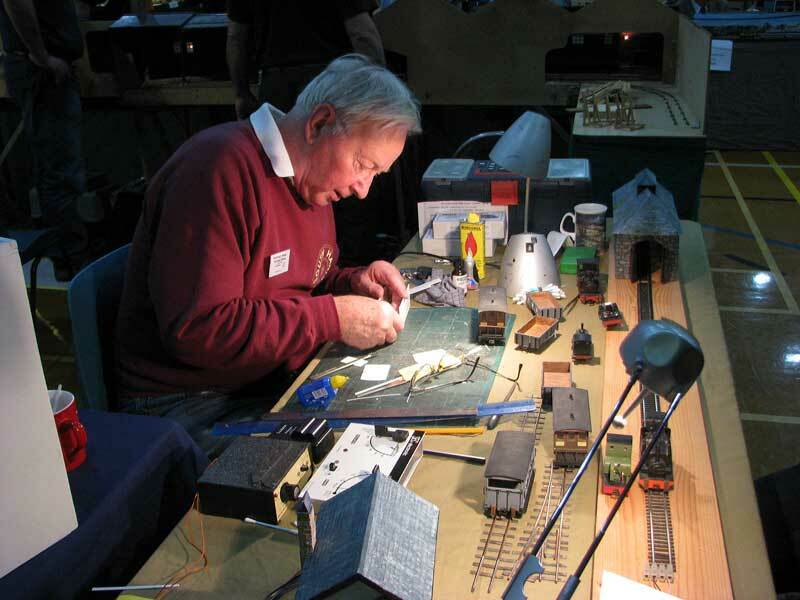 An article appeared in the August 2008 issue of Model Rail." By Davie & Rene Lear, Warminster, Wiltshire. 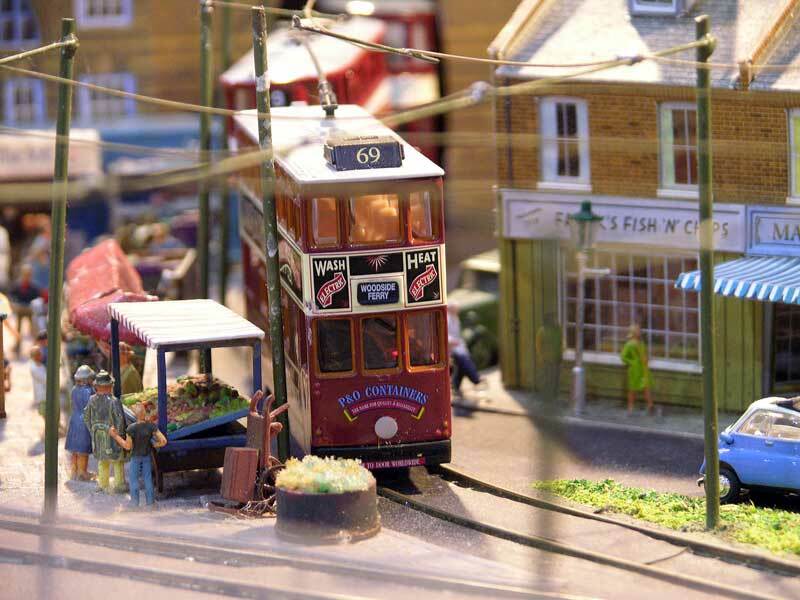 "An imaginary tram layout in 00 Gauge. 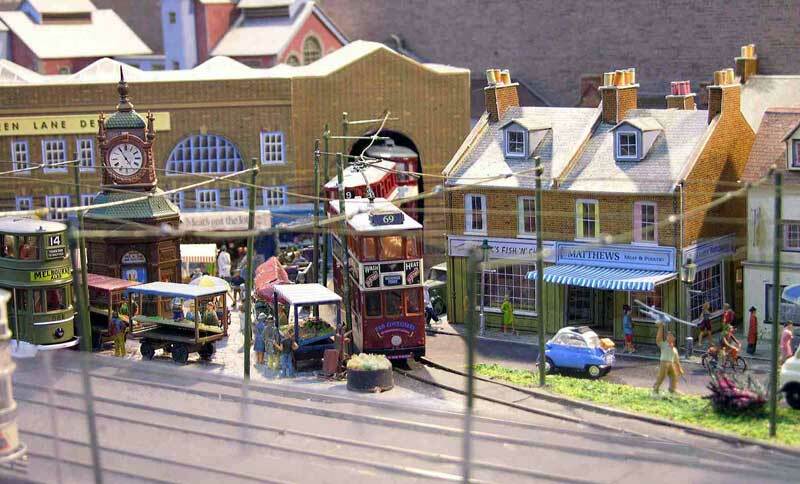 This layout is built on one board measuring 5ftx3ft, it features a busy market town which is served by trams as its main public transport, having the market situated outside the Tram Depot. On an upper level there is a busy town street which is served by both the tramand buses. There is also a popular children's play area on the lower level, watch the roundabout and see if you can see it going round." By Chris Thomas, Stubbington, Fareham. 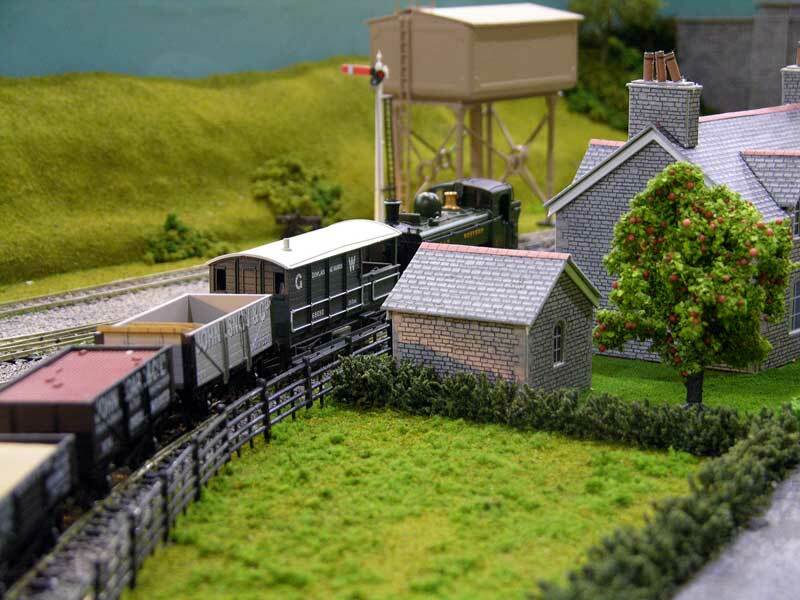 "Holm is a branch line terminus layout with the trackplan based on Kingsbridge, Devon. 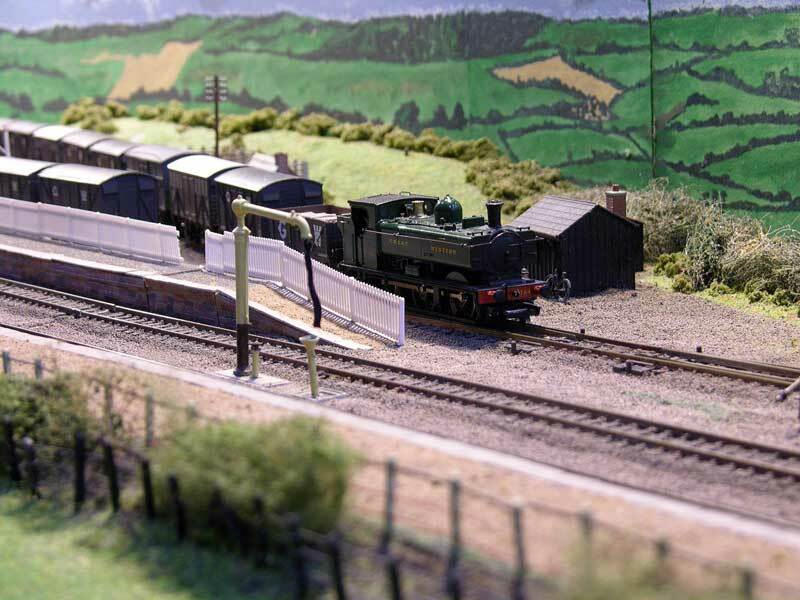 It is fitted onto three 4 x 2ft boards, one board being a fiddle yard partly hidden by scenery. Track work is all Peco Code 75 with Electrofrog points. Buildings are a mixture of kits from Ratio, Metcalfe and Peco. Why Holm? I was brought up in South Wales with a railwayman father but have an affinity with the West Country because his father (my Grandfather) was the BR(W) Yard Master at Taunton when I was young and I spent holidays there. There are two islands in the Bristol Channel called Flat Holm and Steep Holm, one belonging to Cardiff and the other to Somerset and so it can be imagined that the areas are still joined! Also as my rolling stock is a mixture of South Wales and the West Country, Holm seemed a good compromise between the two. Rolling stock is all ready to run (RTR) and based on the GWR in the 1930s and 1940s. 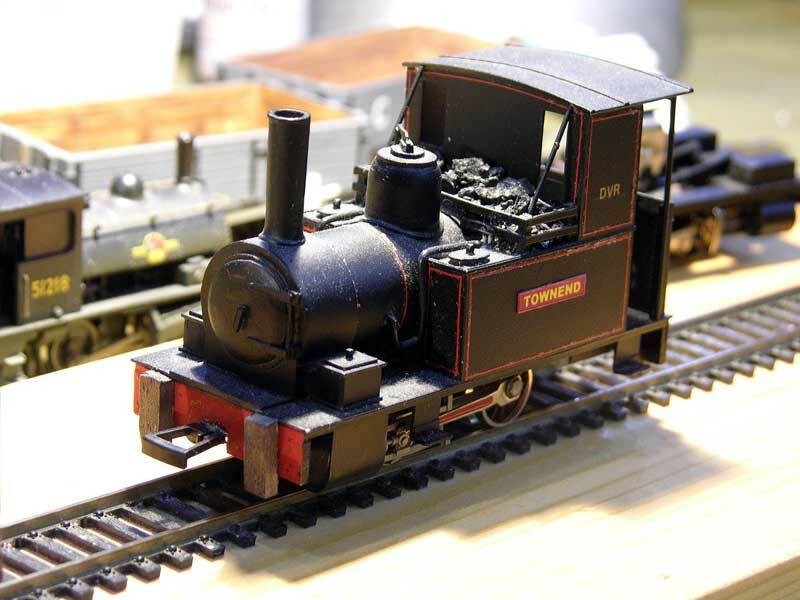 Locos are mainly Pannier tanks and Prairies with the occasional small tender loco. Coaching stock consists of B sets and auto coaches, and a diesel railcar. Kingsbridge used to have coaches from the mainline Paddington to West Country trains detached at Brent and so this gives an excuse to see that coaching stock too which was kept at Kingsbridge during the holiday season. Wagons are mainly private owner supplied by Wesse." By Peter Bailey, Havant, Hants. 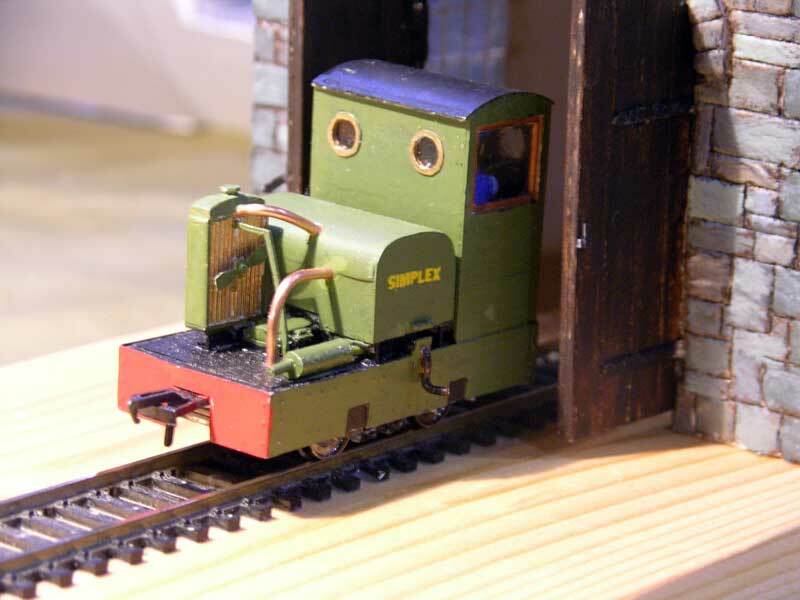 "This year Peter has returned to 7mm narrow gauge working on a freelance Cumberland Mineral Railway (CMR) located in the North of England. The CMR will be mainly industrial with a small amount of passenger rolling stock. The accent is on scratch building, but use is being made of 4mm mechanism and chassis where its is appropriate." By John Baggaley, Berkhamstead, Herts. 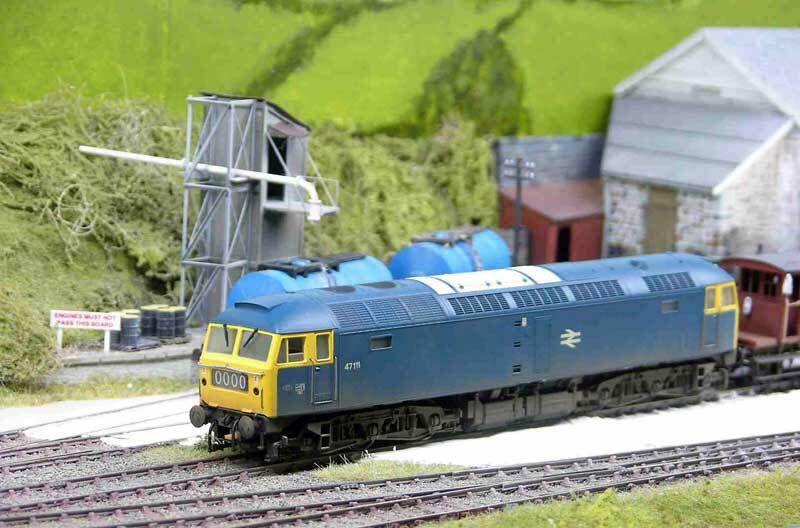 "Set in the 1970s/80s in the middle of British Rail’s ‘Blue Period’ the layout represents a fictitious parcels depot located on a short spur from the West London Extension Railway (the Willesden Jct/Olympia/Clapham Jct link). The depot is served by the London Midland, Western and Southern Regions (hence the third rail) and therefore sees locos and parcels stock typical of those Regions. In the flush of 1960s modernisation it received colour light signals in anticipation of its expected importance, a dream which has not been realised as can be seen by its current, rather run down, appearance. That is a far as a real life justification goes, the impetus behind the design was the DEMU 2005 Layout Challenge. The basic rule for which was to build a layout of no more than 750 sq ins featuring electric traction. The actual baseboard size at 8ft x 7.75ins was just under that limit, although the supports do work out to be a bit wider to ensure stability. A 4ft extension was then added to include the parcels depot. 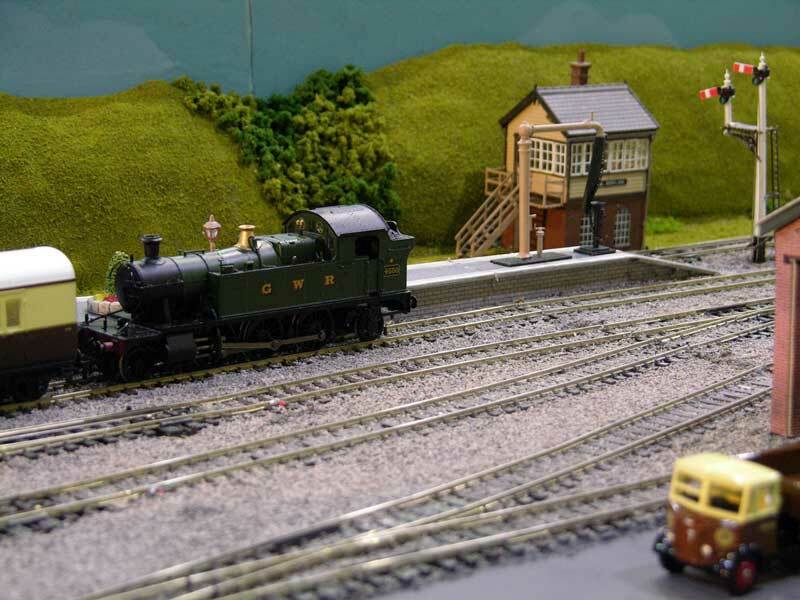 A sector plate fiddle yard has now been constructed to allow an increased service. This makes the layout 16ft 2ins long overall. Constructed on purpose built plywood baseboards with Peco trackwork, the scenics are inevitably limited and utilise a variety of sources for the structures. The operational side uses SR Motor Luggage Vans hauling a parcels van or two, WR parcels DMUs and Classes 24/25 (from the LMR) and 35 (from the WR) with short (very short) van trains. BR(S) 2BIL and 2EPB multiple unit stock also appears. There is now the opportunity to run 1960s steam/diesel transition period with suitable green, maroon and other suitable stock." Text and pictures copyright ©2009 by Ian How and respective Exhibition Guide writeups authors. Web Hosting and page layout by Frédéric Delaitre.